This is the true story of the men who came face to face with one of the world’s worst aviation disasters and became part of one of the most extraordinary police operations in history. On November 28th 1979, a jet with 257 passengers went missing during a sightseeing tour over Antarctica. Within hours eleven ordinary police officers were called to duty to face the formidable Mount Erebus. But as the police recovered the victims an investigation team tried to uncover the mystery of how a jet could fly into a mountain in broad daylight, did the airline have a secret they tried to bury? Set in the beautiful yet hostile environment of Antarctica, this is the emotional and compelling true story of an extraordinary police operation. Charged with a task almost beyond their physical and emotional capacity, a small team of men who lacked significant training and resources, this group of men shared an experience that would change their lives forever. Their efforts of the recovery team were extraordinary. They worked two 12-hour shifts in the endless daylight of Antarctica the coldest continent on the Earth. The simple practical tasks of eating and sleeping were almost impossible as they faced the challenge of terrible storms, massive scavenger birds and total exhaustion. Time was against them as the ice runway for transporting bodies out of Antarctica started to break up due the oncoming warmer temperatures. Despite what the men faced and their lack of experience, they achieved a momentous task in getting the bodies home. The men have been greatly affected by this defining moment in their lives. Much like Vietnam veterans, many developed post-traumatic stress disorders as a result of the mission. But it wasn’t only the New Zealand Police on the mountain, Air NZ senior staff went to Mt. Erebus and sifted through wreckage as investigators tried to uncover the puzzle of how a jetliner could fly into a mountain in broad daylight. But were they being told the whole truth? Did Air NZ have a secret they wanted to bury? 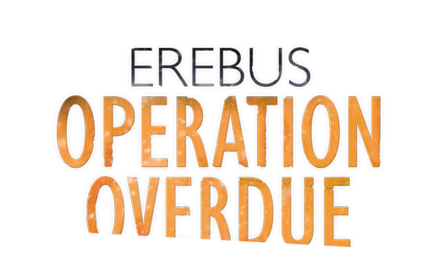 Months after returning from Erebus the Investigator releases his report of the cause of the accident. Pilot error. It was the subject of intense speculation and controversy. An inquiry was called for. The police officer who was in charge on the mountain remembers finding vital evidence on the mountain, the Captain’s diary. He later recognises it as being sabotaged and he has a passion for finding justice in the name of the 257 bodies he returned home.